The place to rehabilitate - a café located between a subway station and tennis courts, on a median strip - offered interesting proportions. 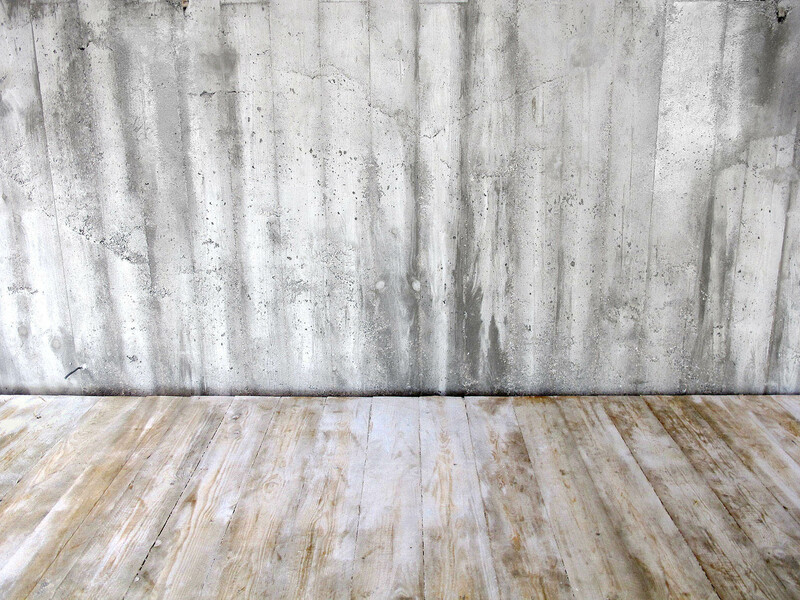 But to reveal the expected atmosphere without falling into pastiche, our intention was to neutralize the space with a rough concrete base supplementing the existing bare structure. 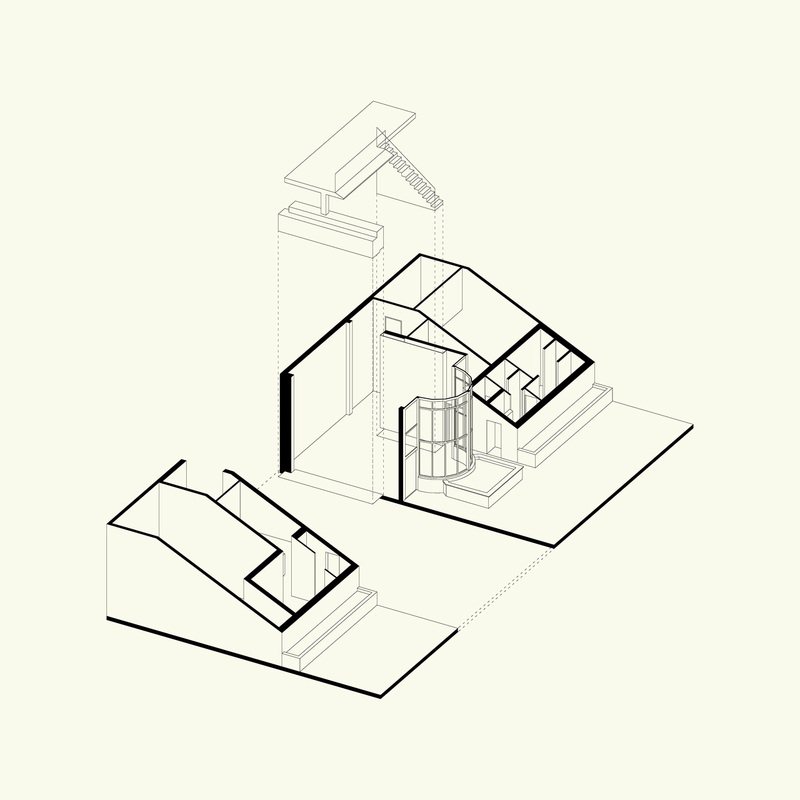 The space is then arranged according to the symmetry of the place, with a large central volume. The creation of a mezzanine floor from either side of the nave generates alcoves with particular environments. 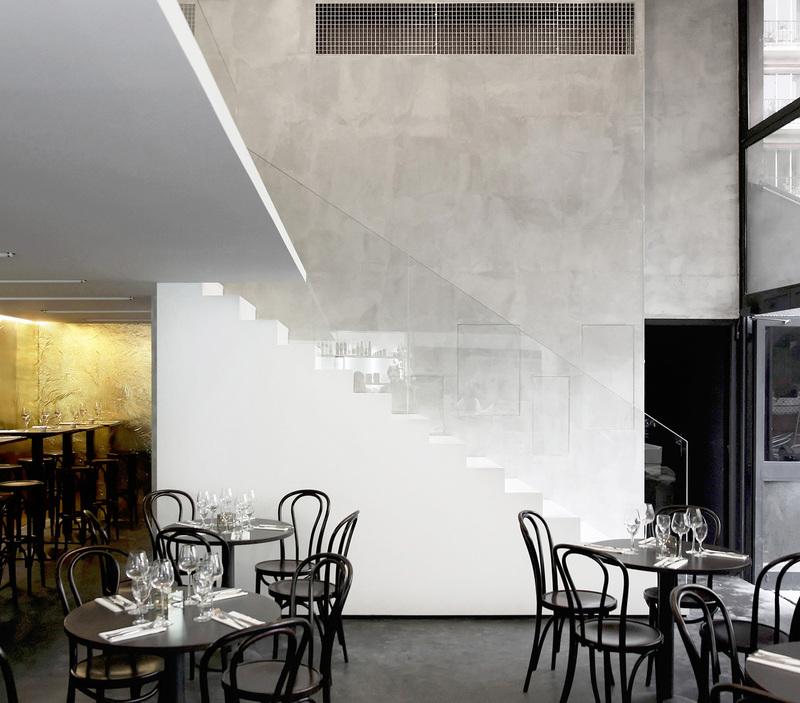 In order not to let the mezzanine slab itself as sole architecture, the bar / counter and the stairs are designed as white abstract solid volumes, two floating elements in this raw place. 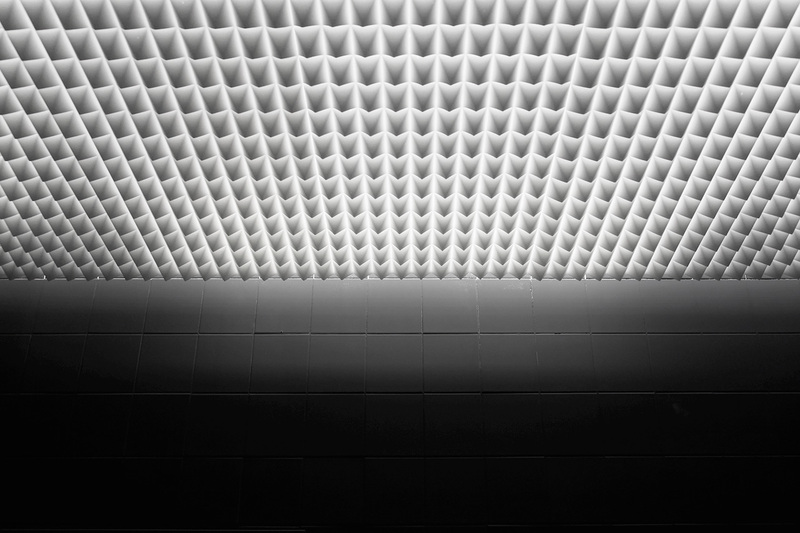 To extend the geographical shift through the light, we imagined a special design the ceiling. One of the most decorative elements found in cafes and restaurants in New York is the mosaic ceiling, very rare in France. Here this distinctive pattern is reinterpreted by taking a more contemporary and nightlife aesthetic vocabulary. 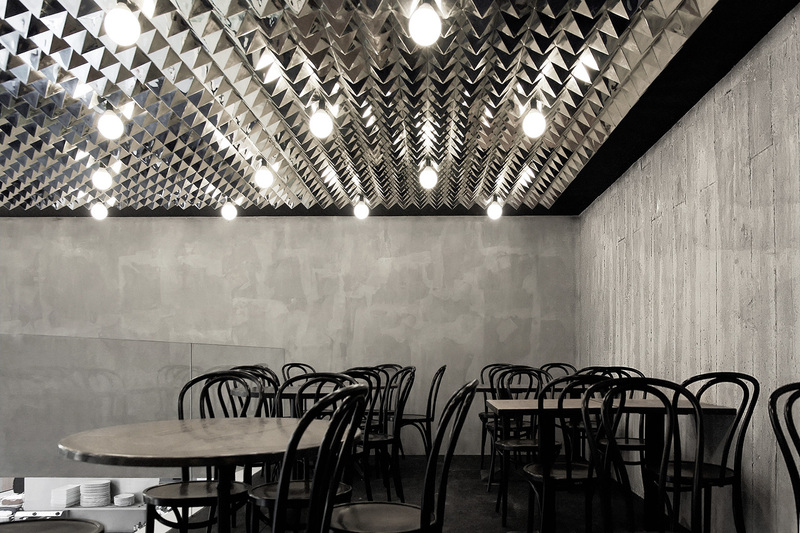 Reference to anechoic surfaces that allow the absorption of waves by diffracting to infinity, contemporary interpretation of magic and glittering New York too, the ceiling of the restaurant is made of a mosaic of 1800 mirror pyramids, reflecting and diffusing light and the atmosphere of the place. 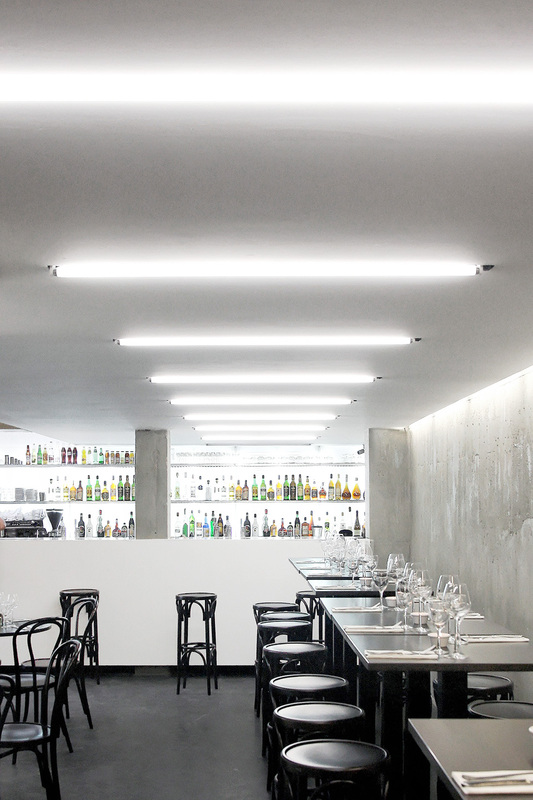 The small alcove on the right is thought of as a particular space, as the gold nugget of the restaurant. 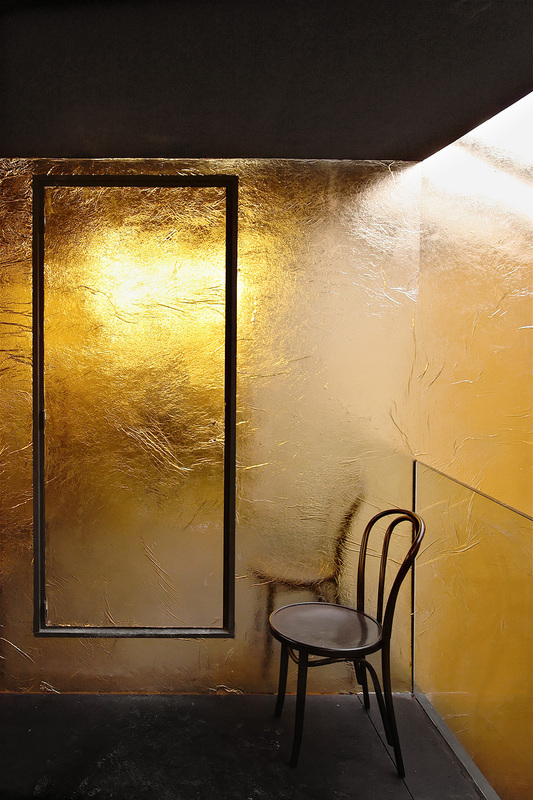 With a light coating of gold Mylar, this confined space becomes luminous and magical, sparkling and radiating its amber hues to the rest of the restaurant.